Answer: You slice meat with―instead of against―the grain. Result: Chewy meat that could have been tender. For tender slices, look at the meat to determine the direction of the grain (the muscle fibers), and cut across the grain, not with it. 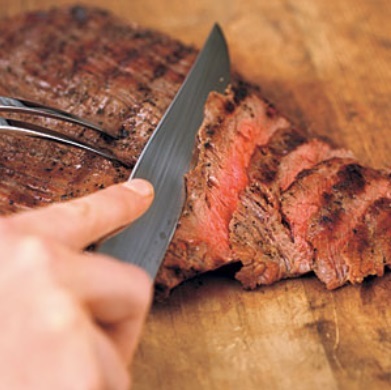 This is particularly important with tougher cuts such as flank steak or skirt steak, in which the grain is also quite obvious. But it’s also a good practice with more tender cuts like standing rib roast, or even poultry.